March 26, 2015, H.R. 2, known as the “Doc Fix”, was passed in the House of Representatives with overwhelming bipartisan support. Ironically, the original intent of this bill was usurped in the name of compromise by members tacking on what can only be described as the “Fast-track to single payer”, thus rendering the touted changes to the SGR irrelevant. In this compromised form, the “Doc Fix” threatens to destroy the patient-physician relationship, the Hippocratic Oath, and the private practice of medicine in the United States of America. The Senate must not pass this bill in its current form. It must be corrected before being brought to a vote or not brought to a vote at all. CLICK HERE for PDF version of plan. Practicing physicians want patients to be able to access the highest quality care at the best value. Empower the patient to preserve the patient-physician relationship, allowing patients to choose their physicians and treatments. Empower the patient to choose to pay directly for medical services without insurance penalties. Encourage individual patient responsibility to reduce overall costs. Empower patients by making competitively priced insurance available for all to purchase as protection against catastrophic loss. Charity should be local and left to the communities and the people. Why you want a yearly “physical” from your personal physician. Yearly health physical exams and review of patient’s history have been a staple of medicine in modern times. Recently, though, it has come under fire in the age of third-party health insurance reimbursement and government intervention in healthcare. When other entities pay for care, others decide on what you get. Everything is viewed by “payers” is an expense and must be “justified.” But, the question remains as to what justification is necessary if both the patient and their physician of choice agrees on a test or procedure. Ideally, patients should choose their daily lifestyles, caregivers, and options for care using their own individual value systems. Fill in the name of your senator or house rep and send today! Practicing physicians across the United States have come together to draft a simple one-page plan outlining how we believe the federal government ought to proceed if the citizens of the United States are to continue to have access to the greatest medical care in the world without bankrupting the country. 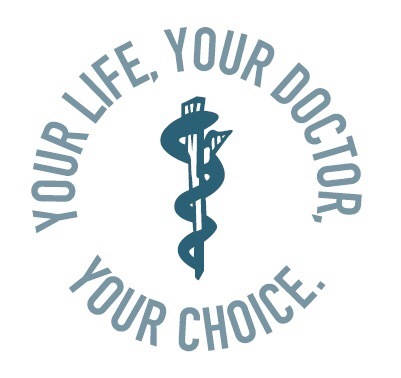 We have named our group the National Physician Coalition for Freedom in Medicine. With the Supreme Court hearing arguments in the King vs. Burwell challenge to subsidies issued through HealthCare.gov, the pressing need for alternative legislation is apparent. As practicing physicians we offer credible alternatives. The National Physician Coalition is meeting in Washington DC on March 25th and 26th, and we are respectfully requesting to meet with you to discuss our plan in person at your convenience. We look forward to working with you and showing you what we have come up with.